Using a RODI system without a TDS meter is like driving a car without a speedometer and gas gauge. At some point you will end up in trouble. With RODI systems it is TDS that you will want to monitor for performance and filter quality. 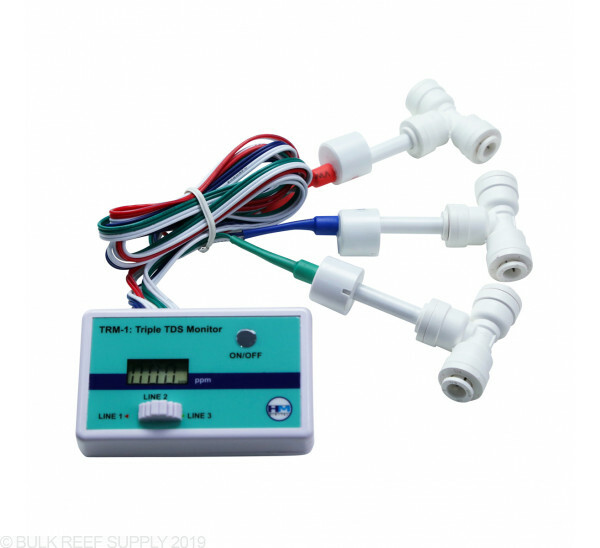 If you have a single or dual DI stage we highly recommend a triple TDS meter as it will allow you to see your TDS readings in three places. 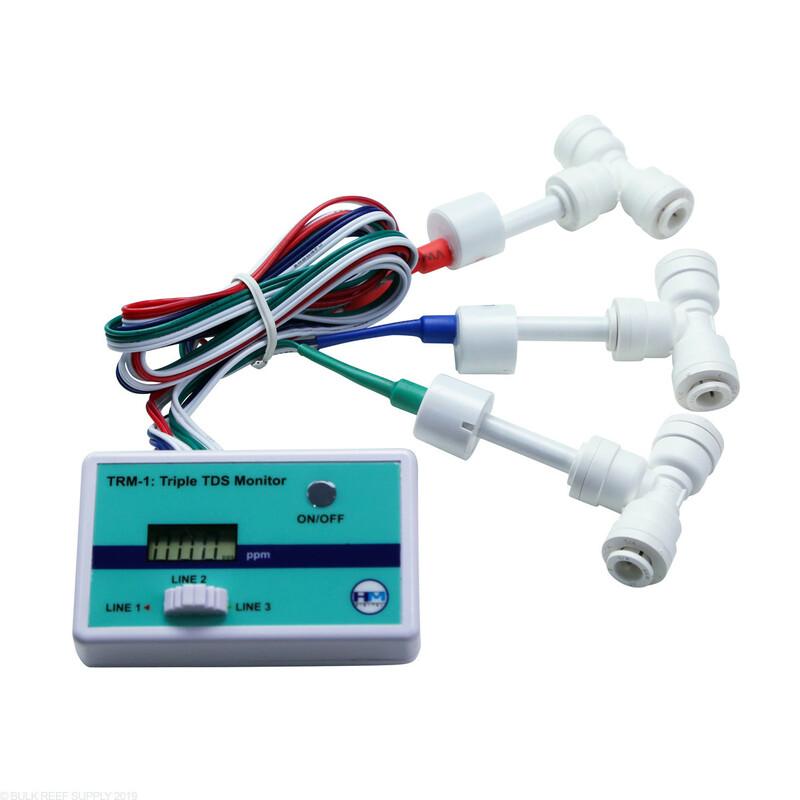 We will usually suggest installing the triple TDS meter post source water, post membrane and post DI stage. These three readings will notify you when it's time to change the RO membrane and DI resin. 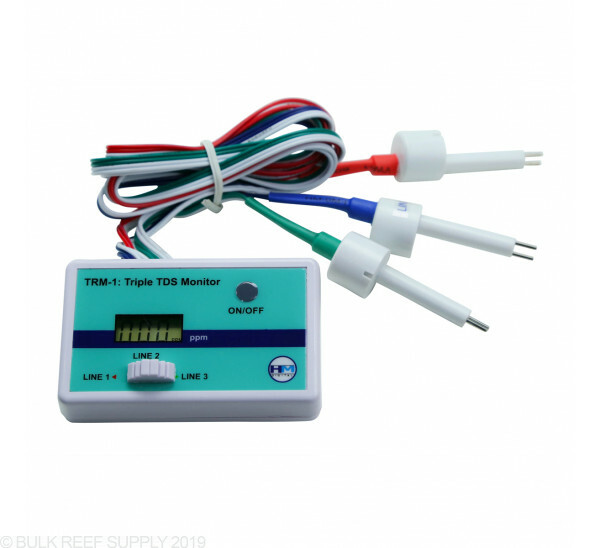 BulkReefSupply.com suggests: installing the triple TDS meter post source water, post membrane and post DI stage. These three readings will notify you when it's time to change the RO membrane and DI resin. This unit features a digital display and comes with three 1/4" Quick Connect Tee's. As with all HM-Digital products, the TRM-1 comes factory calibrated. I bought this a few years ago, a couple months ago some parts of the display stopped working. only used it a few times, maybe thats the problem? only ran fro a few seconds each time so could be the quick on then off did it... anyway it worked good enough to replace. Lasted just over a year and a half. Probally didnt use thie more than 30 times. Replaced the batterys and the screen is blank. The meter is easy to install on an existing RO/DI system and performs the job as advertised. Look and feel could be improved but is a very minor complaint. 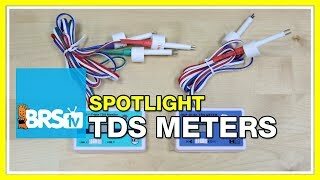 Easy to install and nice to see the incoming TDS, post RO and post DI. Is this RO and DI thing working? I never knew. Now I do. A must have and a breeze to install. Just installed mine along with a new ro membrane. So far this is great I can check whats coming in, after the ro membrane and after the resin.. I have wanted to do this for a year now, so glad that I made the purchase. easy to install just follow directions and you will be fine. LOVE IT!! 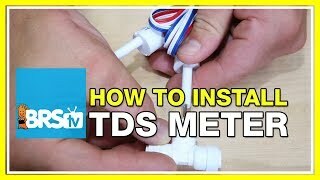 I use this TDS meter on my inlet, after my RO membrane, and after my DI cartridges. It works perfect for multiple reasons. First, I know what my TDS coming in and going out of my RO membrane so I can tell if I'm getting the rejection I should and know when it's time to replace my membrane. Next, when I first turn the unit on, I can flush the good water coming out of the membrane until the TDS comes down so I'm not using up resin. This is from TDS creep, read about it if you haven't heard of it. Lastly, it tells me when I need to change my resin as the last one will show me if TDS comes above 0, so I'll know the resin is exhausted. Perfect and not a big investment. Product does what it claim and so far seems to do it well. It's very simple to operate. Being able to monitor the TDS after the carbon blocks, ro unit, and after the DI resin is great. No need for un necessary filter changes. You can check three phases of filtration in seconds and replace only the necessary filters. This will save money in the long run.